Zwei-Zimmer Wohnung im Coral Falls Resort. Perfekte Lage. 10 mintues sowohl von Marco Island und die Innenstadt von Neapel. Nur wenige Gehminuten von Einkaufsmöglichkeiten, und wenige Minuten vom Golf Strände. Annehmlichkeiten gehören tropischen Wasserfall Pool und Spa, zwei 18-Loch-Championship-Golfplätze, Wander-und Radwege und eine Fülle von Angelplätzen. Zwei großen Schlafzimmern, beide mit Kingsize-Betten, mit TV in jedem Schlafzimmer. Neue, Flachbild-Fernseher. Master-Schlafzimmer hat ein eigenes, zwei Waschbecken Badezimmer. Zweites Badezimmer ist komplett ausgestattet und ausgestattet. Condo ist komplett ausgestattet mit allem, was Sie während Ihres Aufenthaltes benötigen, einschließlich WiFi, eine Waschmaschine und Trockner, voll ausgestattete Küche, neue Bettwäsche und Bettdecken ausgestattet. Paypal ist ab sofort verfügbar. Keywords: Perfect Location, Lely Condo. We had a wonderful time on vacation. The condo was the perfect fit; everything was clean and we had all the necessary amenities available. It’s in a great location; very clean, comfortable, well-appointed, and quiet. We liked that restaurants and the grocery store were within walking distance. We recommend and hope to stay there again. We loved staying at this condo! 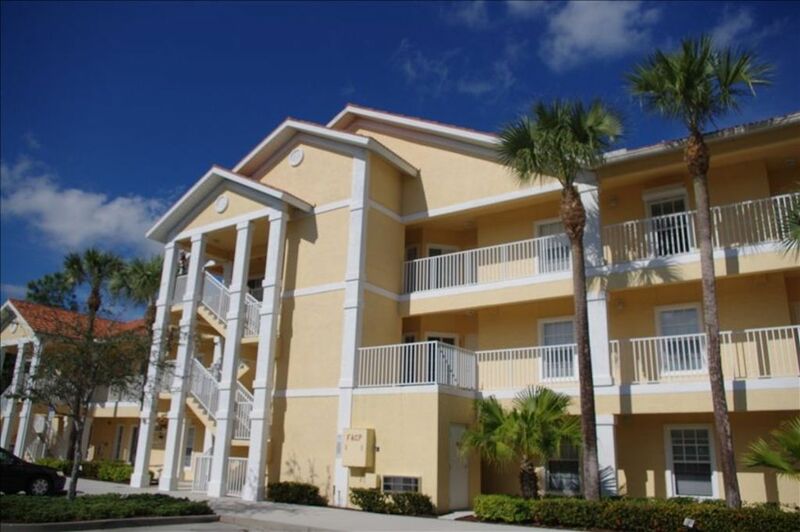 It is the perfect location to travel to either Marco Island or downtown Naples. A Publix supermarket and Starbucks is within walking distance and there is a great park (Eagle Lakes) is just down the street. The pool and hot tub clean clean and not too crowded. The beds were comfortable and the kitchen had everything you need to cook meals. We would stay here again in a heartbeat! Very clean, comfortable and conveniently located. Nice and clean place, excellent location, near beaches, If coming back to Naples would try to book there again ! I stayed here with my two sons on our first trip back to Florida as a family (my oldest was born in Naples). From the listing it isn’t obvious how close the pool is to this condo unit - literally a 1 minute walk down to the pool. My kids loved it! The pool is fantastic. The condo was extremely clean and perfectly appointed. We enjoyed our stay immensely and were pleased with the central location - about smack in the middle between Marco island beaches and Old Naples. We would definitely return and recommend this condo!